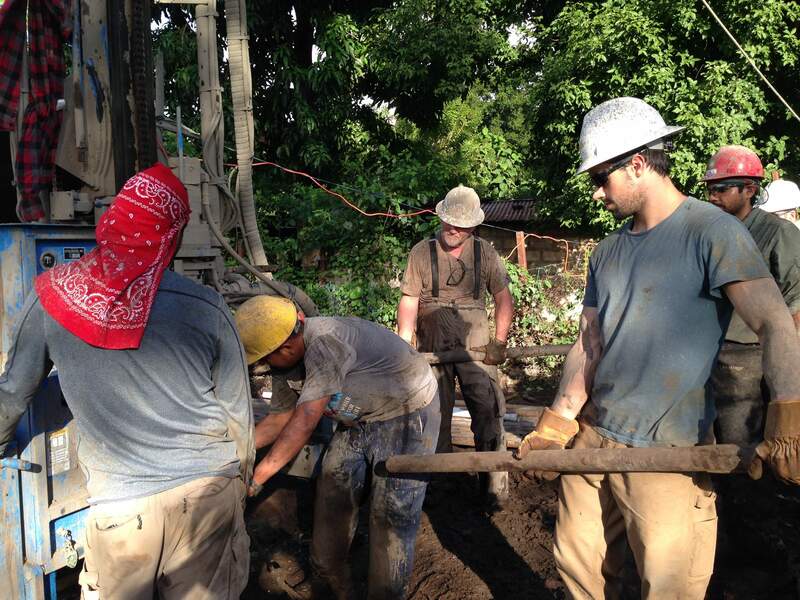 Determined is the word that best describes our drilling team. Like the waves of the nearby Pacific Ocean, we have had one challenge after another wash over us this week. We finally reached a depth of 240 feet last night on our third attempt at finding water for the people of the small caserÍo of Los Amates. Our team returned to our base camp tired and dirty last night but hopeful for what today would bring. We returned to Los Amates early this morning, anxious to get started. Our first order of business was to run pipe down the hole to make sure that everything was still in good order. It was, so we pulled all 240 feet of drill pipe out and stacked it neatly next to the drill rig. The next step was to begin installation of the casing, the larger pipe that goes into the hole first. We made it as far as 30 feet before we encountered yet another brick wall. Apparently a large rock had collapsed into the hole. Yikes! Lunch was a welcome break. After dealing with rain and mud and the unexpected rock in the hole we were ready for a delicious meal. 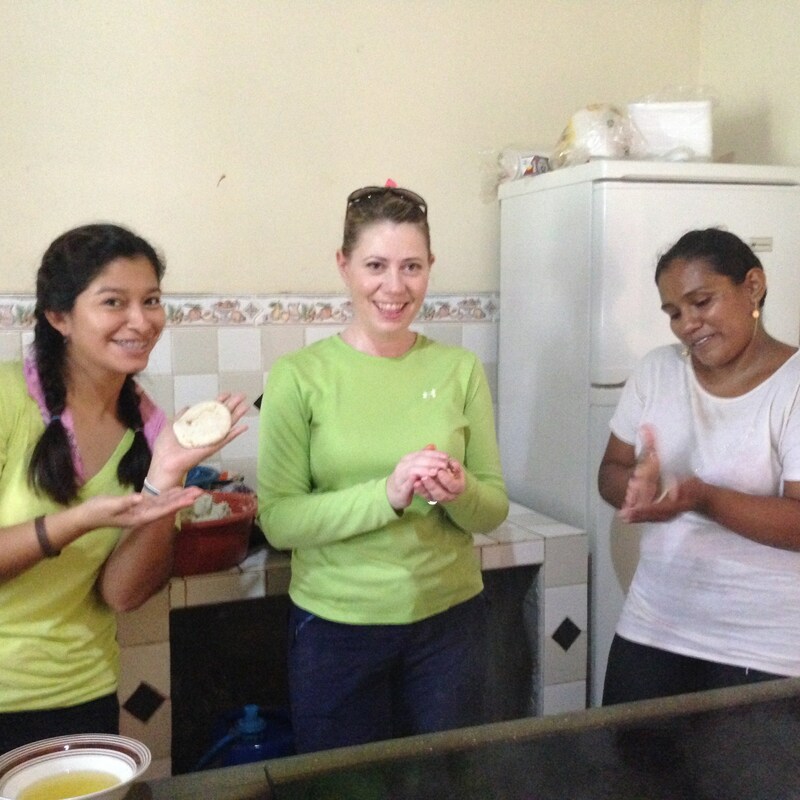 Jennifer and Lorena, our hygiene team gals, joined local cook Yamileth to prepare pupusas, an El Salvadoran treat. In case you’re wondering, a pupusa is something like a round, flat tamale and totally delicious. We have all become pupusa addicts. After lunch, we returned to the drill site to pull out the casing and reinstall the drill pipe in an effort to break the rock in the hole. Success. But, we had to drill down all 240 feet again to make sure that there were no other obstructions — time consuming to say the least. But, no problem. Quitting is not an option for our team. 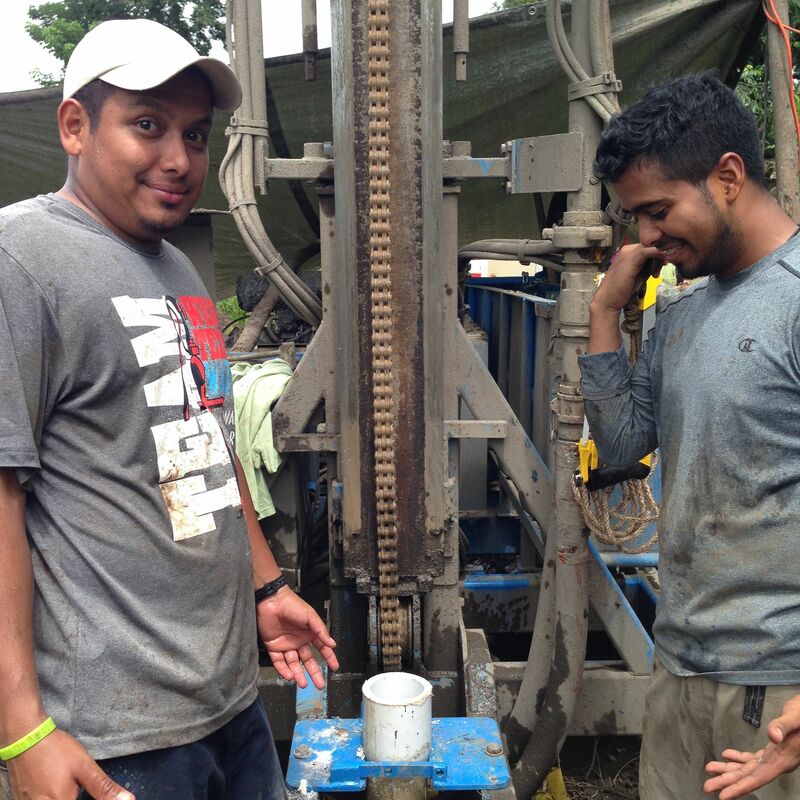 We are here to do what it takes to provide clean water for the people of Los Amates. Facing challenges is certainly made easier when you are surrounded by good and cheerful people. As tough as this week and this day has been, everybody is still smiling. 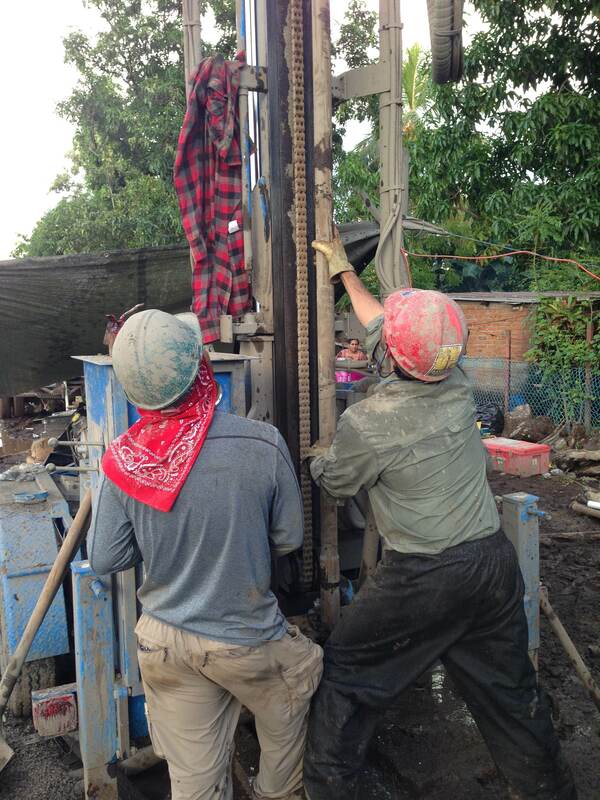 The only thing louder than the drill rig is the sound of our laughter. We are having a really good time serving together. And the good folks of Los Amates continue to take great care of us, providing coffee and snacks and even a helping hand. Even though we are behind schedule because of the setbacks we have had to deal with this week, it looks like the people of Los Amates will have their water well after all. Tomorrow morning we hope to finish the final steps to bring water to the surface. We are praying that all will go smoothly since it is our last day here. 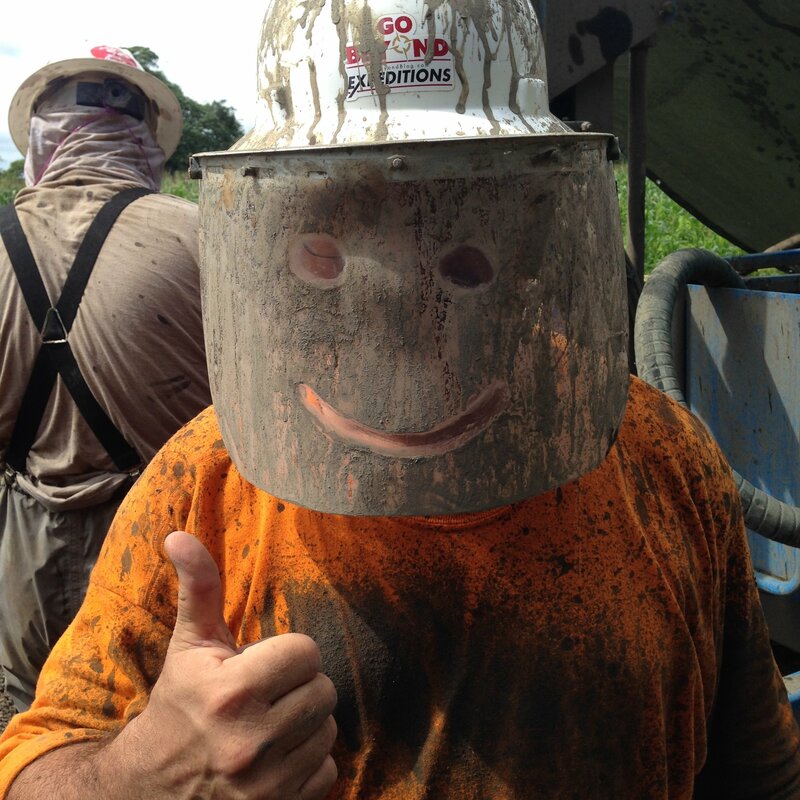 In spite of all that has happened with drilling our thirteenth water well in Central America (fourteenth if you count the water well we sponsored in Nicaragua in August), we are all still smiling and looking forward to dedicating the well tomorrow. Praying for the team today. May The Lord provide strenght and encouragement. Thanks, Patricia. Definitely appreciate your prayers.